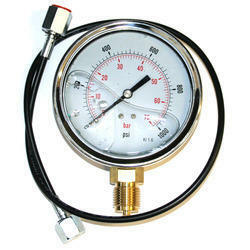 Offering you a complete choice of products which include hydraulic gauges, diaphragm gauges and glycerin filled gauges. We are involved in offering a wide range of Hydraulic Gauges. These are technically advance and available with us in various range, dimensions and technical specifications. Manufactured as per international industrial standards, these gauges ensure high functional efficiency, maximum durability and robustness. Our products are acclaimed for their high quality and reliability. 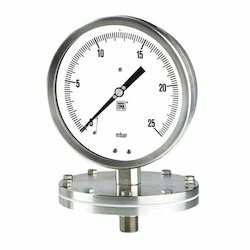 We are engaged in offering a high quality range of Diaphragm Gauges. The given diaphragm gauges are designed with superior grade material and latest technology in synchronization with industrial norms. In addition to this, the offered diaphragm gauges are broadly acknowledged among our respected customers for its quality attributes. Also, our customers can avail the offered diaphragm gauges from us at nominal rates. 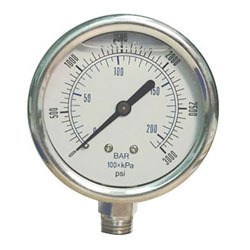 We hold expertise in offering a wide range of Glycerin Filled Gauges. These are extensively acclaimed for their application specific design and corrosion resistance. We manufacture these using top quality components which are procured from reliable vendors of the industry. Technically advance range of these devices are acclaimed for their robustness and effective performance.